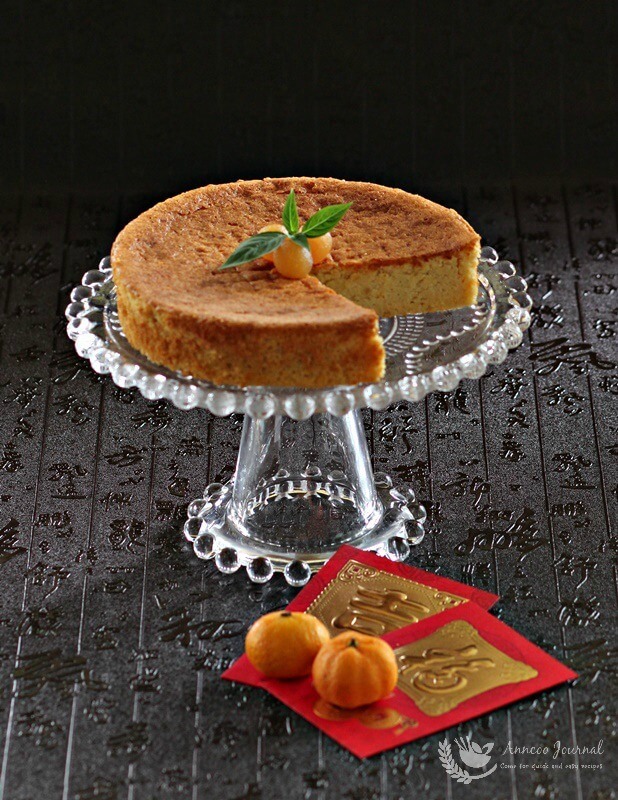 As Chinese New Year is getting closer, I’m sure many of you are now busy baking goodies at home for the lunar new year holidays. 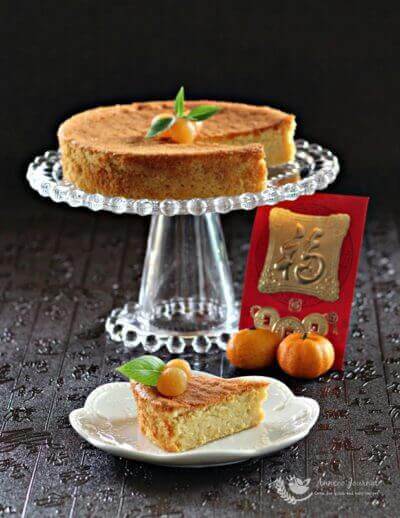 I’ve just tried baking this healthy Pineapple cake with pineapple puree and pineapple paste (paste for making pineapple tarts), and I’m going to include this to my baking list. I love the end result, it is moist, soft and a little tangy with a hint of pineapple fragrance. Definitely a keeper recipe for any occasion. Preheat oven to 180 deg C. Grease and line the base of a 7 inch (18cm) round cake pan. Puree pineapple cubes and blend well with pineapple paste and lemon juice, set aside. Combine rice flour, wholemeal superfine flour and almond powder in a bowl, mix well. Beat egg yolks and 20g sugar on high speed till the mixture is thick. Fold in flour ingredients, pineapple puree and melted butter with a rubber spatula, set aside. In a separate bowl, beat the egg whites to soft peak stage then add 25g sugar and beat to stiff peak. Gently fold the egg whites into the flour mixture in 2 batches with a rubber spatula and pour into prepared pan. Bake for approximately 50 minutes until cooked through or skewer inserted to the cake comes out clean. Allow the cake to set in the pan for 5 minutes then turn onto a cake rack to cool. Can i subsitute the wholemeal and rice flour for cake flour or self-rising flour? Hi Angie, Yes you can. You can even omit the flour, use only rice flour and almond meal. Hi Ann, if we omit the flour means use 40g + 15g rice flour?? and pineapple cubes can use those from the can instead of fresh pls? 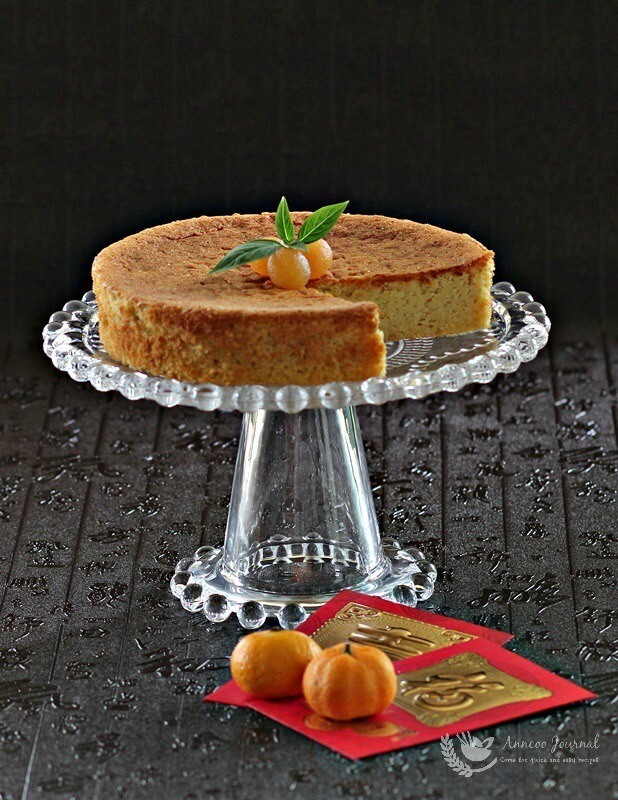 Tqsm for sharing this lovely recipe for CNY cake! Hi Wendy, Just use 15g rice + almond meal. Yes you can use the pineapple cubes from can too but must monitor oven baking time. It might take a little more time to bake if the mixture is too wet. Hi Wendy, Yes, you can use 40g cake flour or just 15g rice flour with almond meal. Just drain the excess juice from the pineapple, no need to squeeze dry. This cake is quite low, so please use 7 inch round cake pan. Ann,when u said to just use 15g rice flour and almond meal means 100g of almond meal, right? is this cake overly sweet pls do i hv to reduce the sugar if we dun like it too sweet coz the pineapple paste and canned pineapple wld be sweet too? Hi Wendy, In this recipe you can omit the wholemeal flour and use 15g rice flour and 100g almond meal. I used S&W pineapple, the cake is not really sweet. I think you can still use 45g sugar and add a little more lemon juice to balance the sweetness of the cake. Thank you Wendy! Just deleted the typo error. This looks great! Pls share how you serve this usually, and how long does the cake keep? Hi JiaHui, I just served it like our normal cake. Due to our hot weather here, better keep the cake in the fridge for 3-4 days. Lovely & yummy pineapple cake ! Oh ! Is that slice for me ? Hee .. hee ! How beautiful and tasty! I love aroma of fresh pineapples. Pineapple is one of my favorite fruits. 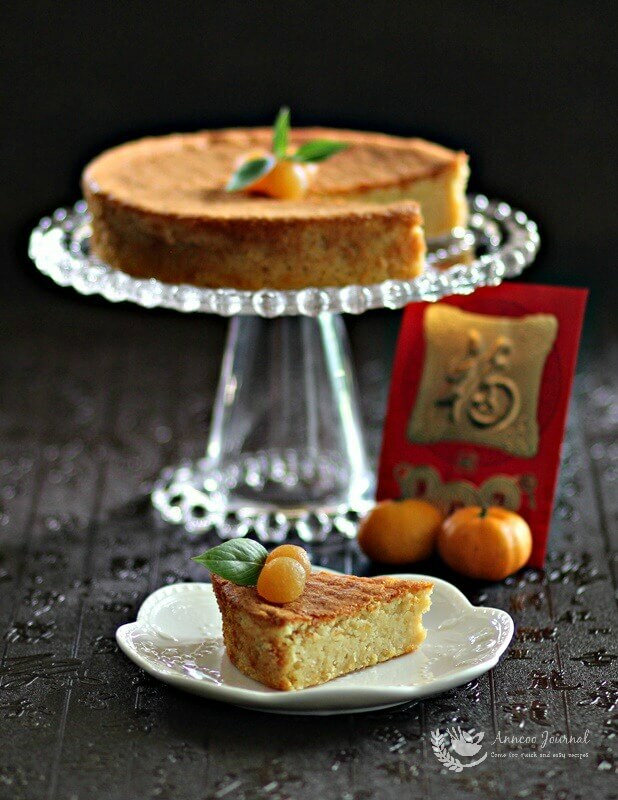 And of course I love pineapple tarts, so this cake will get my thumbs up as well!